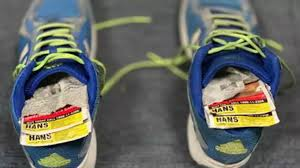 Wow, he tried to sneak 1,169 packets of chewing tobacco in shoes! BEWARE: Chewing tobacco and other smokeless tobacco products may be perceived as safer than cigarettes or other smoked tobacco products because they aren’t linked to lung cancer. You’re wrong as chewing tobacco increases the risk of oral cancers. This warning comes after another Malaysian motorcyclist was caught with 1,169 packets of chewing tobacco in his shoes and other belongings at Woodlands Checkpoint early on Thursday (February 7) morning, said the Immigration & Checkpoints Authority (ICA). The 50-year-old man was stopped by ICA officers for further checks at about 4.45am. A search revealed the contraband concealed inside his shoes, raincoat bag, haversack and the motorcycle’s carrier box. Among chewing tobacco, most popular is the ‘Khaini’ tobacco which is intended to be used by placement in the mouth. It consists of moist, dark brown tobacco leaf, mixed with slaked lime or spices and has a distinctive smell, says the Health Sciences Authority (HSA), which investigates such violations. For the record, the import and sale of so-called emerging tobacco products such as shisha, smokeless tobacco and chewing tobacco are banned in Singapore. Anyone convicted of importing or selling these products faces a jail term of up to six months, a fine of up to S$10,000, or both. Repeat offenders who are caught with more than two kg of tobacco products will also face mandatory imprisonment. Vehicles used in the commission of such offences can also be forfeited. The illegal bootings of chewing tobacco is a global problem, from Europe, the Middle East, Africa and America. They’re usually smuggled disguised as herbs and spices, aimed at the Asian migrant-worker market. Some pouches of tobacco resemble tea-bags and intended to be sucked. The authorities warn that chewing tobacco and other smokeless tobacco products may be perceived as safer than cigarettes or other smoked tobacco products because they aren’t linked to lung cancer. And smokeless tobacco products are often promoted as a safer option. “These products, however, result in some of the same risks as cigarettes, as well as additional health risks particularly associated with smokeless tobacco products,” says a senior officer familiar with investigations. He adds that chewing tobacco is a common type of smokeless tobacco. Smokeless tobacco products consist of tobacco or a tobacco blend that’s chewed, sucked on or sniffed, rather than smoked. Nicotine is absorbed through the soft tissues of the mouth and in some cases swallowed. “There are as many as 28 different chemicals, which are either present in tobacco or which form during the production process, that have been identified as cancer-causing agents (carcinogens). These substances in smokeless tobacco products have been linked to well-documented risk of disease,” he warns. If you use chewing tobacco or other forms of smokeless tobacco, consider options to help you quit. Because of the health risks of chewing tobacco, smokeless tobacco products are not a good alternative to quit cigarette smoking.